Find all sorts of Chicago Holiday Events and Activities for your family, from lighting events to meals with Santa to holiday plays and performances and more. 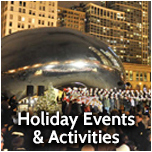 Below, see our guide to some of the best of this year's holiday events and activities! 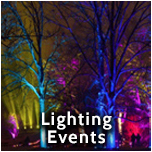 More events and activities are being added every day, so check back often! Join us at the Drucker Center for day or week-long camps during the winter holiday break. You will find the perfect program for keeping the young members of your family engaged and entertained over the long school break! Art, Improv, RetroActive Sports, LEGO Engineering, Chess, Mad Science, and Fencing… there is something for everyone! An enchanting holiday tradition! Watch young Clara and her hero, the Nutcracker, battle the Mouse King and embark on a magical journey, encountering toys that come alive, dancing snowflakes, waltzing flowers, and the Sugar Plum Fairy. 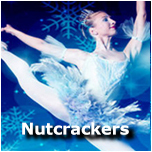 All performances feature spectacular costumes and sets and internationally recognized guest artists. Salt Creek Ballet's The Nutcracker is an exciting way to introduce young children to the power and beauty of classical ballet. Opening Thanksgiving weekend, there are eight performances at three venues: Hinsdale Central Auditorium, Center for Performing Arts at Governors State University, and North Shore Center for the Performing Arts in Skokie. Celebrate the season with family bonding and fun at one of our signature gingerbread house decorating workshops. Bring your holiday cheer, we'll provide unlimited candy for endless decorating options from frosted candy roofs to pretzel picket fences. Enjoy holiday tunes and sip homemade hot chocolate in our festive Winter Wonderland kitchen while making your house a home. Family gingerbread workshops are recommended for ages 2+. Registration includes one house, perfect for decorating as a parent/child pair. Teen and adult BYOB classes are also offered. See our full schedule of cooking classes and events including Winter Break Camps for ages 4-13 and adult BYOB workshops or plan your next private or corporate event with us! In 1964, the beloved stop-motion animated television classic, Rudolph the Red-Nosed Reindeer, made its network television debut and has been delighting audiences across the country for over 50 years. Projections, costumes, and characters are faithfully brought to the stage against a backdrop of nostalgic set designs. The 12-foot-plus-tall Abominable Snow Monster is jaw-dropping. The cast brings high energy to classic songs and dialogue, while irresistible and lovable puppets highlight the charming "roughness" from the television show's stop-motion effects. Since the special itself is a classic musical, the stage show does not feel at all like an adaptation and audiences are surprised and delighted when they see performances of songs such as "Fame and Fortune" and "Rockin' Around the Christmas Tree" that are heard but not performed in the TV special. A Charlie Brown Christmas Live on Stage, Schulz's timeless story of the spirit of Christmas, showcases the unforgettable music of Vince Guaraldi, performed by a three-piece ensemble on stage, as well as a concert of beloved holiday carols led by the Peanuts characters. Based on the popular Peanuts comic strip, the Emmy® and Peabody Award-winning television special by Bill Melendez and Lee Mendelson became a holiday viewing tradition after it first aired in 1965. It was adapted for the stage by Eric Schaeffer, by special arrangement with Arthur Whitelaw and Ruby Persson. 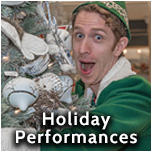 ComedySportz: Make Laughter a Holiday Tradition! Join the ComedySportz Ensemble this year as they bring the house down in laughter with fast-paced, clean comedy good for all ages! Pack up the whole family from Grampa Joe to cousin Charlie for a fun night everyone is sure to enjoy! A Holiday tradition for many in the Chicagoland area for over 30 years, ComedySportz is a great place to celebrate the season! Go on a playful polar odyssey with Emily and her best friend Amos the mouse as they search for Santa’s missing Naughty or Nice List. Teamwork, determination, and heart save the day in this fantastic, slapstick holiday affair. A returning favorite filled with yuletide swashbuckling, this cheery production is a holiday hit for all ages! Experience the magic of the holidays with Chicago’s most spectacular light displays at the city’s most popular destinations. A pair of ZooLights 3D glasses AND a complimentary bag of Hot Cocoa CaramelCrisp® from Garrett Popcorn await each rider – our treat to you!